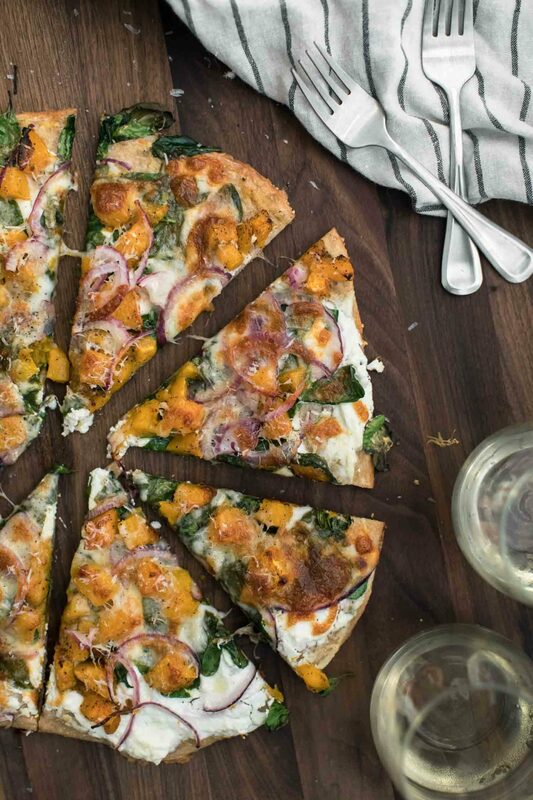 Ricotta Butternut Squash Pizza with Spinach | Naturally. 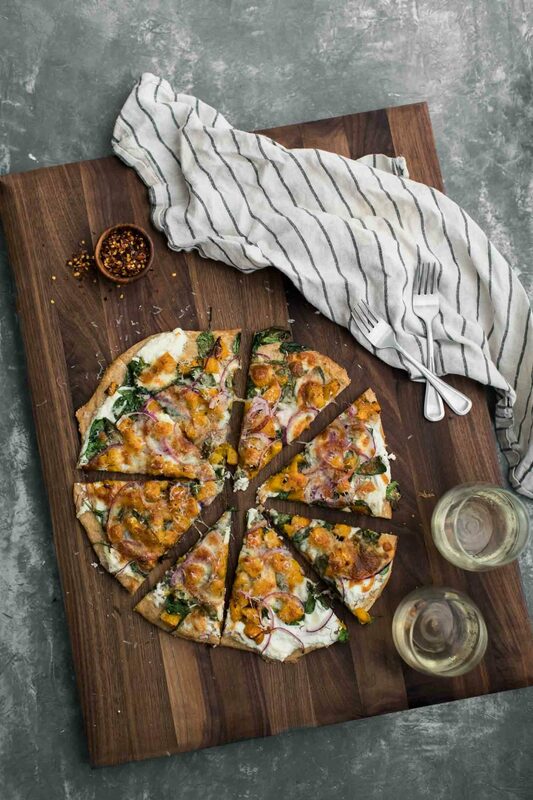 A delicious and beautiful fall/winter pizza featuring a roasted butternut squash component along with whipped ricotta, spinach, and mozzarella cheese. Preheat oven to 500˚F. If using a pizza stone, place on the highest rack. Prepare the pizza topping. Whip the ricotta with the milk, salt, pepper, and thyme. In a good non-stick surface (like a pizza peel sprinkled with cornmeal), stretch and roll the dough into a circle roughly 12 to 14” in size. Rub the olive oil over the crust then spread the ricotta over most of the dough. Top with the fresh spinach, onion slices, and roasted butternut squash. Finish with the mozzarella cheese and bake until the crust is golden and cheese browning, 12 to 15 minutes (time depends on how well your oven holds heat- start checking after about 8 minutes). Remove pizza from oven and sprinkle with freshly grated parmesan cheese and red pepper flakes if desired. Greens: Swap out the spinach for whatever types of greens of might have on hand: kale, chard, or collards would all work. I do recommend wilting the heartier grains before topping the pizza. Garlic Oil: Swap out the ricotta for a bit of olive oil and garlic. This helps lightened the pizza a bit. Vegan: This pizza is bulky enough that you could easily make it vegan. Swap the dairy ricotta for your favorite vegan ricotta (either tofu or a homemade almond ricotta). From there, you can use vegan cheese or leave it off- the almond ricotta and the vegetables are enough! Between the months of September and April, there is always at least one butternut squash in my pantry. 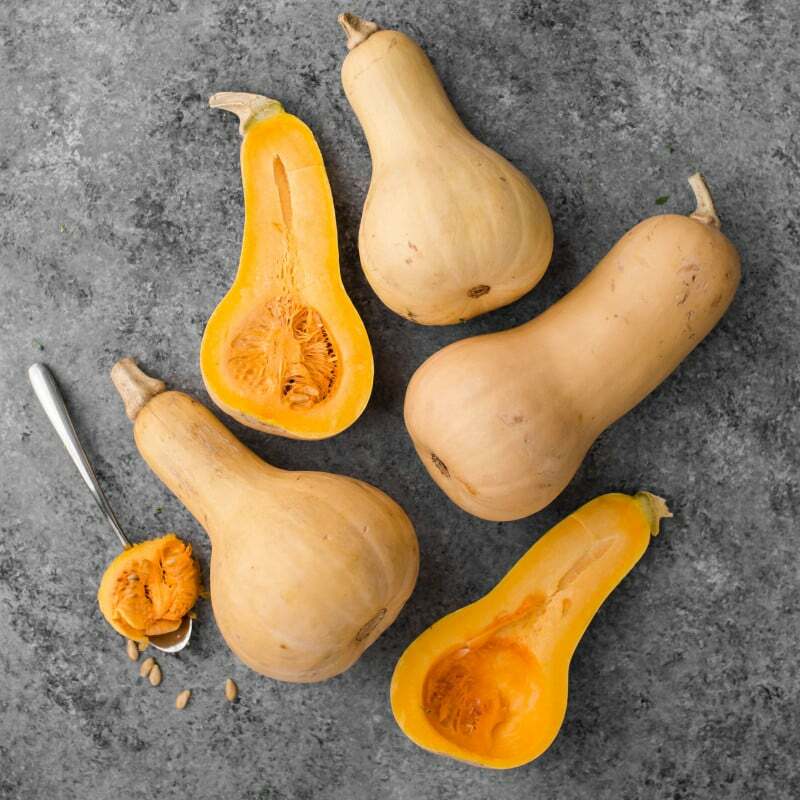 With a stocked pantry, that squash can turn into so many different meals like this butternut squash pasta, soup, casseroles, or salads. It is a workhorse for winter cooking. Updated- I usually leave the cheese off because the vegan ricotta and the vegetables are enough but you could always use vegan cheese if needed. 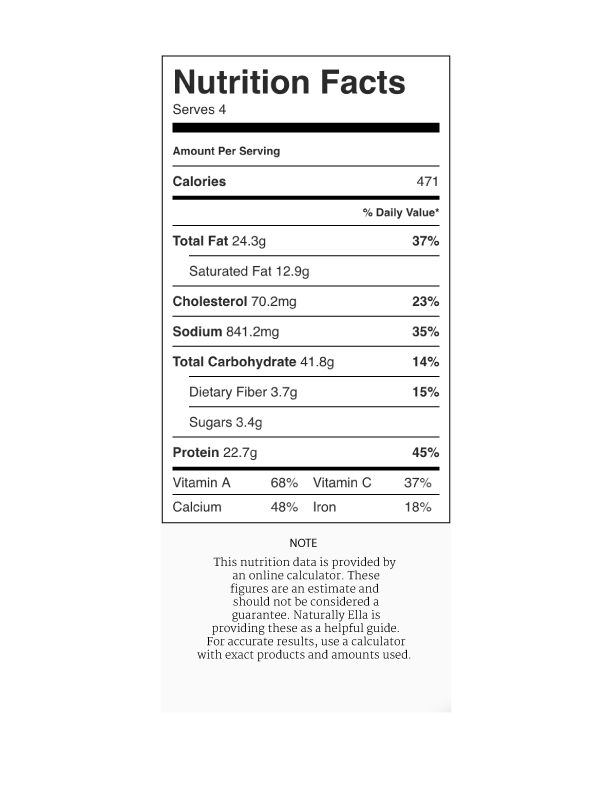 Is the 471 calorie indication referring to the entire pizza, or simply a slice? Thank you!